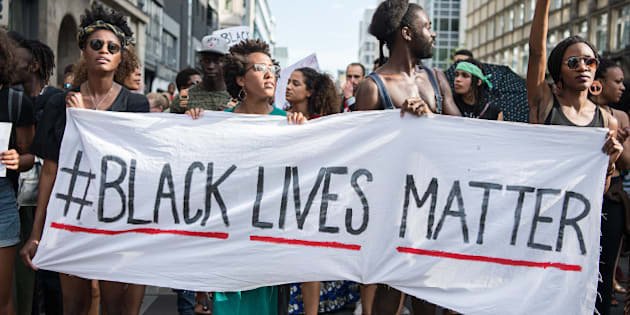 Black lives do matter, but not everything is black and white, and at the end of the day, after the dust settles and the smoke clears, after the bullets stop flying through the air and after the protest signs have been lowered, remembering that old adage might be what matters most of all. Race is always a tricky subject to talk about. In the wake of more dead black civilians at the hands of police officers, as well as the five dead police officers at the hands of a black civilian, it's difficult not to see the world in black and white these days. We're more than polarized in North America. We're also constantly being urged to pick sides. Any nuance inside our conversations is being met with accusations of racism, or inciting violence, or both. Case in point; Black Lives Matter. I personally believe the protest group is an important ally in racial justice for people of colour. They have raised awareness in a way that speaks towards possible transformational changes in how black people see themselves, and also how other races see black people. In Toronto, when the group stopped the Toronto Gay Pride parade, at first I was against the action. I thought it was cheap to be invited by Pride as an honoured guest, only to hijack that hospitality and make demands before allowing the parade to proceed. For me it wasn't really about the 25 minutes the parade was delayed, it was the way in which they accepted an invite, only to flip the table when they arrived. But since the dust has settled I have had a slight change of heart. I learned more about the history of Pride and how aggressive protest tactics had actually helped shape the civil rights of the gay community in Toronto, especially during the AIDS crisis. Pride may seem like a celebration these days, a well funded one at that, but at its roots it is still a political movement. I'm not completely sold that it was the right thing to do, but my opinion has at least softened given a more thorough look at the history of Pride. They have constructed a force field around them that makes them feel infallible... I've seen that lack of self-examination before, that exact same brand of unaccountability among a group of people who feel that since their group is built to help others, that they can do no wrong. There is a massive problem nobody seems to be discussing right now. Call it thoughtfulness. Call it nuance. While I believe Black Lives Matter is important, I also believe they have constructed a force field around them that makes them feel infallible. I don't use that term lightly either. I've seen that lack of self-examination before, that exact same brand of unaccountability among a group of people who feel that since their group is built to help others, that they can do no wrong. This group is law enforcement professionals. The police and Black Lives Matter might see the world differently, but by having this one element in common -- the tendency to not take responsibility for any negative action a member of their group may perpetrate -- make the divisions in our society much, much worse. This position does not sit well with many people, I know. That's because we're polarized. That's because whenever we introduce nuance to the conversation people see it as derailing, or hijacking the main issue of police brutality. Add to that the fact that I'm white and, well, the chorus of radical activists wanting me to shut up and listen, or stop whitesplaining, is deafening. Recently, a gay black writer for The Toronto Star wrote a piece about how he thought Black Lives Matter was wrong to hijack the parade. When you contrast what he wrote with what straight, white activists insist is the right position on this issue you start to realize how muddy the waters really are. But there is also an opportunity to value differences rather than celebrate a herd mentality. Black people, white people, gay people, straight people, or a combination of any of those groups - none of them are monolithic. A greater care needs to be taken when we make declarations about social issues, or we risk alienating potential allies. For example, I do not agree with the term "All Lives Matter" as a suitable response to people chanting "black lives matter." It seems obvious to me that responding that way misses the point. But while scrolling through my newsfeed the other day I came across several black Facebook friends who did post "all lives matter." If I kept scrolling I could see white activists saying that anyone who says "all lives matter" are racists and should be called out. I think it would be interesting to see those two kinds of people engaged in a face-to-face conversation. In fact, I believe those are the most important conversations, and we don't seem to be having them at all. We must remember that not everything is a point for or against one side or the other. Both sides would be best served if they learned from their mistakes, or admitted that they made some in the first place. Again, we are not clones, and we need to get out of the habit of creating labels through the simplicity of spotting keywords we've deemed unacceptable and pounce as if we have spotted an ideological enemy. Not only is it a woefully lazy way of social activism, it's also an impediment to real progress. The Internet, and specifically social media, for all its upsides like unearthing statistics and uncovering the injustices people face, is in need of a serious overhaul in how it endlessly passes judgment on those who use the wrong language to express otherwise innocent opinions. Because even in cases that involve race, police brutality and the way those two worlds often collide, we must remember that not everything is a point for or against one side or the other. Both sides would be best served if they learned from their mistakes, or admitted that they made some in the first place.